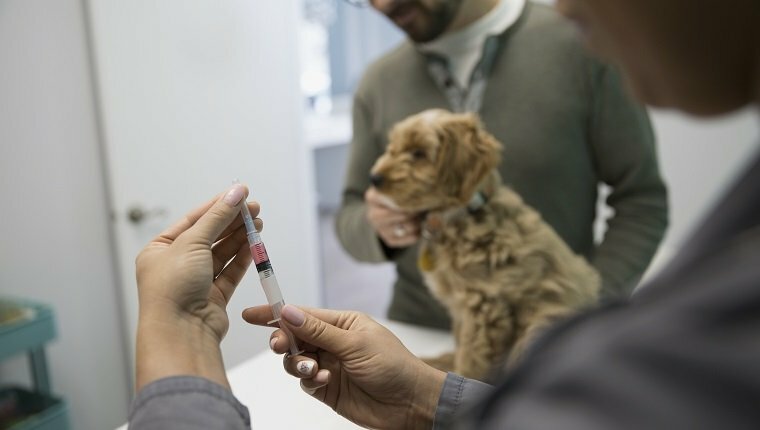 You may hear of titer testing more often as a growing number of dog owners become concerned about over-vaccination or bad reactions to vaccine injections. Titer testing is a means of determining whether your pet has enough antibodies to defend against viruses that they have already received vaccinations for in the past. Some dog owners believe that having enough antibodies makes another vaccination, especially an annual vaccination or booster, unnecessary. Here’s what you should know about titer testing and what it means for vaccinating your dog. 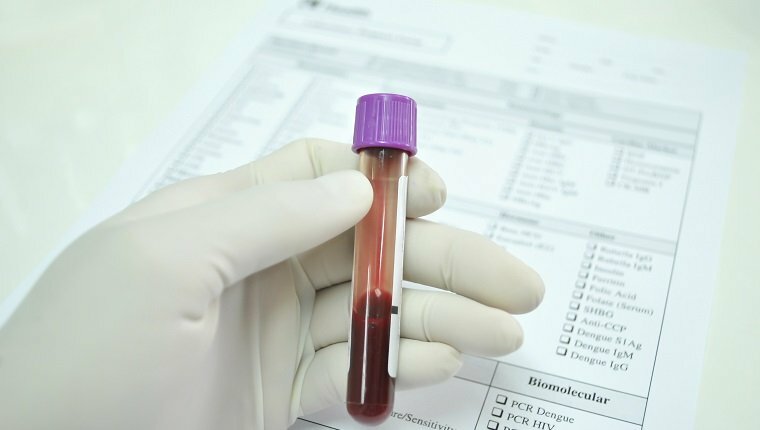 A titer test is a blood test that measures the level of immune system proteins called antibodies. When your dog gets a vaccination, their immune system responds by producing antibodies which can then be used by the body to fight off future infections. The titer test determines how many antibodies are still in your dog’s blood after one or more years from the time of vaccination. 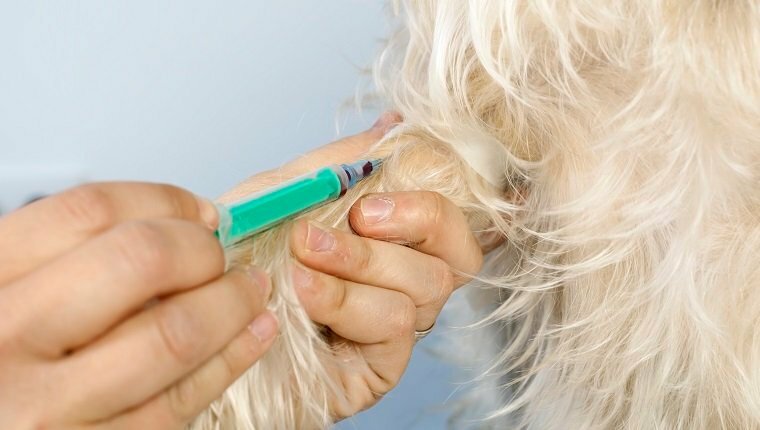 Vaccines are important because they inject a replicated part of a virus or bacteria that is dead or weakened, which allows your dog to build up immunity without getting sick. Still, vaccines have risks, though they are uncommon and don’t necessarily outweigh the benefits. Some dogs have allergic reactions, which can rarely be extreme and result in anaphylaxis. Some dogs can develop a sarcoma, which is a mass that grows around the site of the vaccination due to inflammation. This mass can become malignant and spread cancer to other parts of the body. Mostly swelling around the injection site disappears within a couple of weeks. Other side effects of vaccination can range from mild to serious, and over-vaccinating increases these risks. That’s not to say vaccinations are completely unnecessary. The major diseases that are vaccinated against are distemper, parvovirus, adenovirus, and rabies. These diseases have a mortality rate of 60 to 80 percent in young dogs, so the risk of rare complications from a vaccine doesn’t outweigh the danger of what they are meant to protect against. Still, if a dog’s immune system is capable of fending off these diseases, there is no need to over-vaccinate and face the risks. That is what the titer test is meant to determine. What Do The Results Of A Titer Test Mean And What Are They For? Dr. Richard Ford, emeritus professor of internal medicine at the North Carolina State University College of Veterinary Medicine uses the acronym PIE to interpret results of a titer test. A test that shows a positive result for antibodies can determine protection, infection, or exposure. For example, a positive titer test for Lyme disease or leptospirosis means infection, while a positive result on a titer test for ehrlichiosis implies exposure. A titer test is appropriate for determining if your dog has sufficient antibodies to be immune to parvovirus, distemper, or adenovirus. Some research suggests that the presence of antibodies doesn’t necessarily equate to immunity, and a low presence of antibodies doesn’t necessarily mean vulnerability, but it seems to be a fairly accurate measure according to most sources. This is a subject of debate and controversy within the veterinary community. However, if a dog shows a high enough count of antibodies to these diseases, re-vaccinating isn’t likely to be necessary. The titer test is not appropriate for canine leptospirosis, bordetella (also known as kennel cough), or Lyme disease, as these vaccines only provide short-term protection. Rabies is an unusual case. Vaccines for rabies give long-term protection, and the titer tests are very accurate, but vaccination against rabies is mandated by law in the United States. No state will accept a titer test for rabies as a measure of immunity instead of vaccination. You can use the titer test to determine if your dog can forego re-vaccinating for certain diseases, but it can be used in other ways, too. 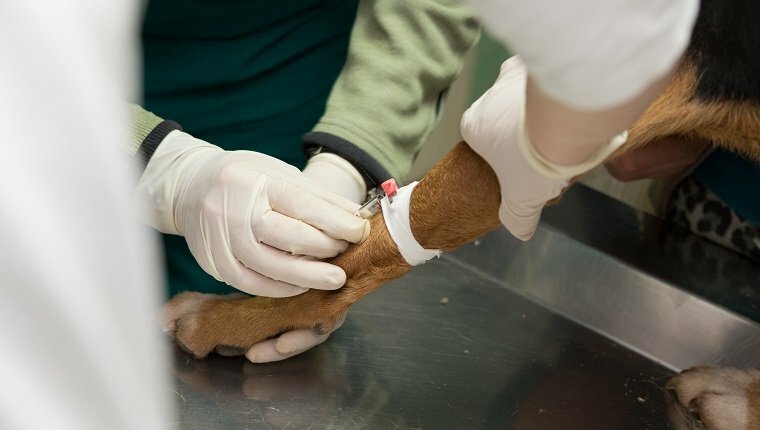 Titer tests could be used by animal shelters during animal intake or the outbreak of a disease to help separate low-risk and high-risk dogs. Veterinarians could use the test after puppy vaccination to find out if they’re ready for socialization with other dogs. Certain countries and regions require titer testing as proof that an animal has been vaccinated for rabies before it can be brought over the boarder. You could also use it if you adopt an animal and you don’t know their immunization history. How Often Should Titer Testing Be Done? Titer testing can be expensive, though the price as come down more in recent years. It will likely be cheaper to vaccinate based on yearly recommendations, though you will be facing increased risk of harmful side effects from vaccination. Recommendations on how often to titer test vary. Some vets say yearly just to be safe. Others say every three years are all that’s necessary, while others recommend every five to seven years. 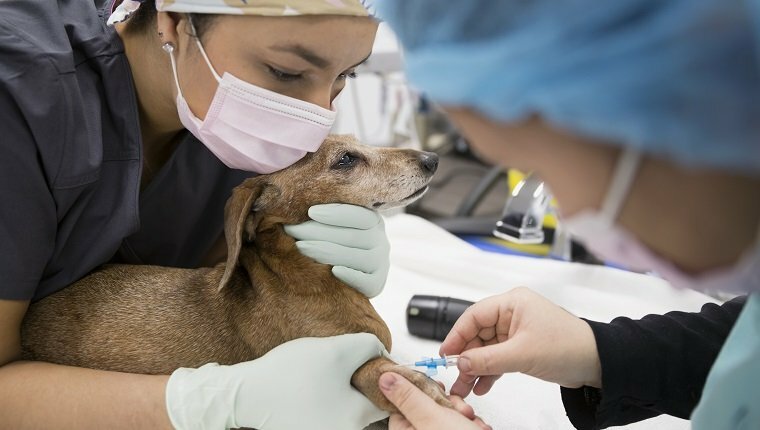 Many titer tests suggest that dogs that have been vaccinated against parvovirus and and distemper have immunity for five to seven years, or they can be immune for life. There is certainly no harm in testing often other than the monetary cost, though it is debatable about what is necessary. You should discuss this with your veterinarian and decide what’s right for your dog. It is important to note that puppies should still receive their recommended core vaccinations. A titer test may show high levels of antibodies, which are provided by the mother’s immune system to her puppies. This immunity can actually prevent a vaccine from working. Also, after puppyhood, this immunity can wear off, which is why vaccines and at least first year boosters are necessary. A titer test after the initial vaccination processes can determine if the vaccines caused your pup to develop the appropriate antibodies. You should consult your vet to determine when a first titer test should take place in order to provide accurate information. Does It Reduce The Need For Vaccinations? For parvovirus, distemper, adenovirus, and rabies, a high antibody count in a titer test will likely indicate that a re-vaccination isn’t necessary. However, a low count doesn’t necessarily mean that a booster is needed. Some experts claim that the immune system of a dog that previously had high antibody levels will produce “memory cells” that will pump out antibodies if there is exposure to the disease. Ultimately the decision lies with the dog owner. If the antibody count is low, it may be worth taking the chance that your dog will get a rare side effect from a booster in order to maintain peace of mind that they will not suffer from a potentially deadly disease. Titer tests are a tool that can help you make that decision, but you should always research for yourself and discuss with your veterinarian before you put any plan into action. Would you rely on a titer test to tell you if you needed to re-vaccinate your dog? Do you vaccinate according to a recommended schedule, or determine the need for each vaccine individually? Let us know in the comments below!